Fuel your adventures on and off the slopes. 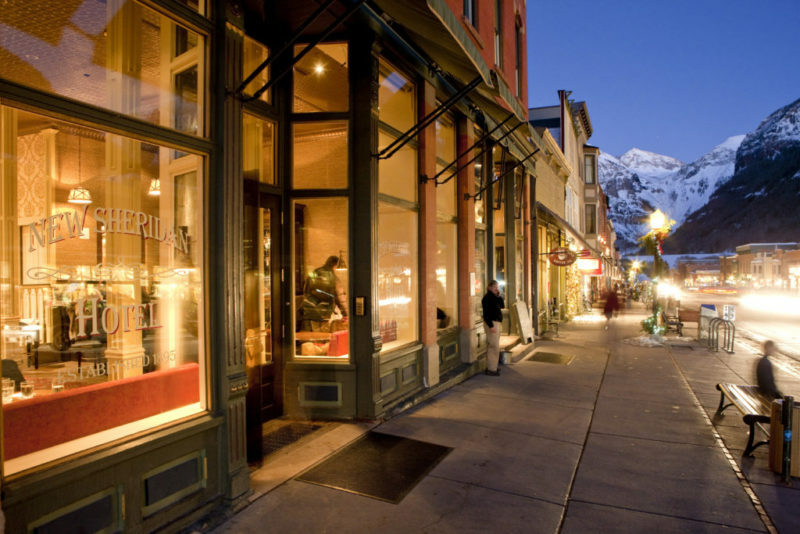 Just by visiting Telluride, you put your body to the test. Can you withstand an altitude of 8,750 feet without getting altitude sickness? People who come to this popular mountain town are generally looking for the type of adrenaline-filled holiday that is packed with skiing, mountain biking and hiking, rather than lounging by a pool all day. It’s no wonder that the town’s cult cocktail, rightfully named “The Flatliner,” is made to get you tipsy yet keep you going for hours. Just don’t die (or pass out). 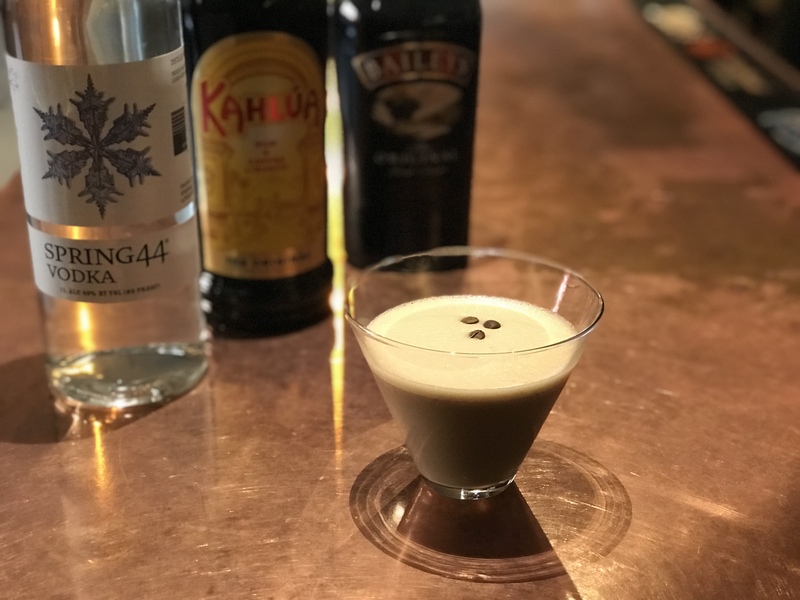 A spinoff of a traditional espresso martini, a flatliner is generally made with 1.5 ounces vanilla vodka, 1.5 ounces Kahlua, 1.5 ounces Baileys and 1.5 ounces of chilled espresso, although some bars twist the original version to make it more their own. If you ask any of the bartenders at the New Sheridan Hotel and Chop House, one of the most popular spots to get the drink, who invented it they’ll point to bartender Steve Foster. Foster says although he didn’t “create” the drink per say, he helped bring it to local menus after a couple from New Zealand asked him to make the drink at their wedding reception at the Peaks Resort in 1995. “We had a wedding reception come in right before closing and the bride and groom asked me to make this drink for them,” says Foster. Initially it was equal parts, but morphed into its current version with a little more vodka after years of making the drinks and trying out variations. “At the time, it was a pain to make because you had to brew up a shot of espresso each time,” says Foster. Now, the process is down to a science at the Sheridan. A large jug is brewed and chilled overnight, so in the morning the espresso is ready to mix into hundreds of flatliners for the brunch crowd and throughout the day. Many people also take the drink in shot form to get going in the morning after an especially rough night out on the town. After making it for the newlywed couple in ‘95, bartenders started making the drinks for themselves, too. Eventually the drink grew in reputation beyond the industry crowd, and bars added it to their menus. 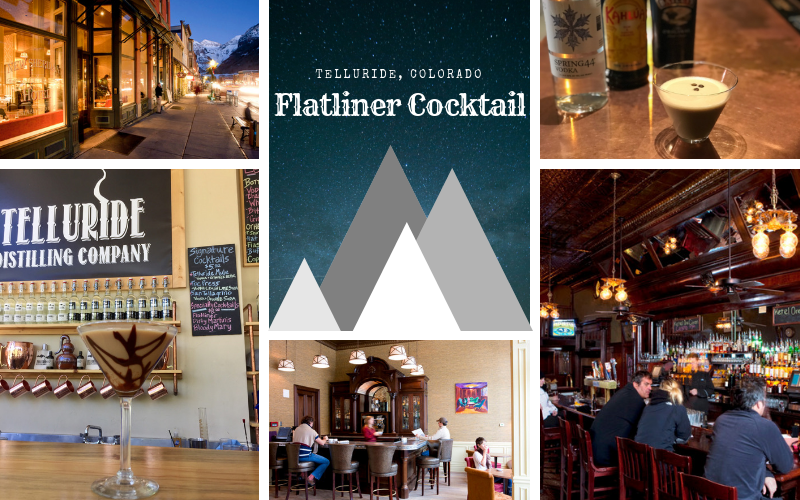 Now The Flatliner is arguably the signature drink of Telluride. Foster says the drink has morphed into more than just a dessert drink, accounting for the widespread popularity as a shot, breakfast drink and a general pre-ski pick-me-up. Although its name suggests the end of a night cocktail that will put you down, The Flatliner generally starts the party. There are several other variations and stories of origin for the flatliner as a cocktail. One version is claimed to have been created in Seattle at the The Queen City Grill, also sometime in the mid-90’s. That flatliner is slightly different using Baileys, espresso, Frangelico and Demerara rum instead of Kahlua and vanilla vodka. The name flatliner sometimes also refers to a shot of 2/3 parts sambuca, a thin line of Tabasco and 2/3 parts tequila floating on top of the line of Tabasco. 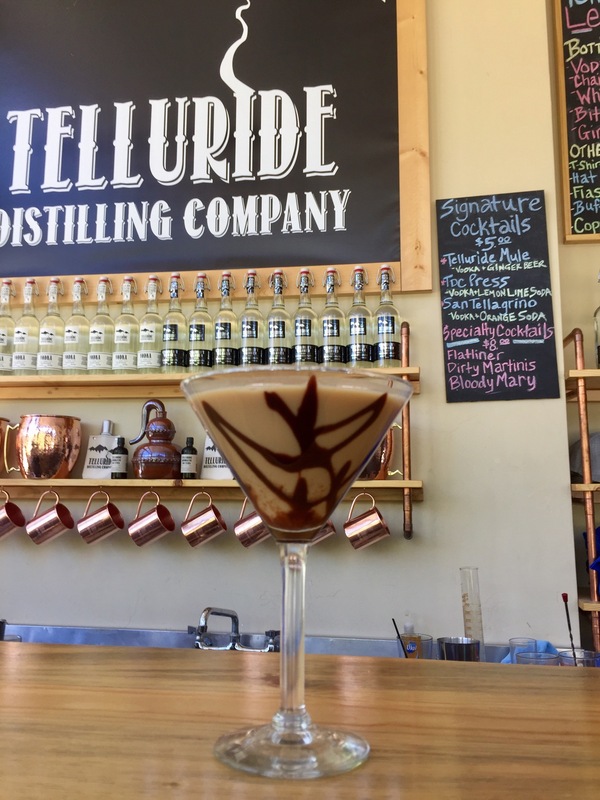 However, most Telluride versions stick pretty much to the vanilla vodka, Kahlua, Baileys and espresso recipe. Abbott Smith, owner of Telluride Distilling Company, also recommends adding a minty kick with Chairlift Warmer Peppermint Schnapps—the only award-winning peppermint schnapps in the world. 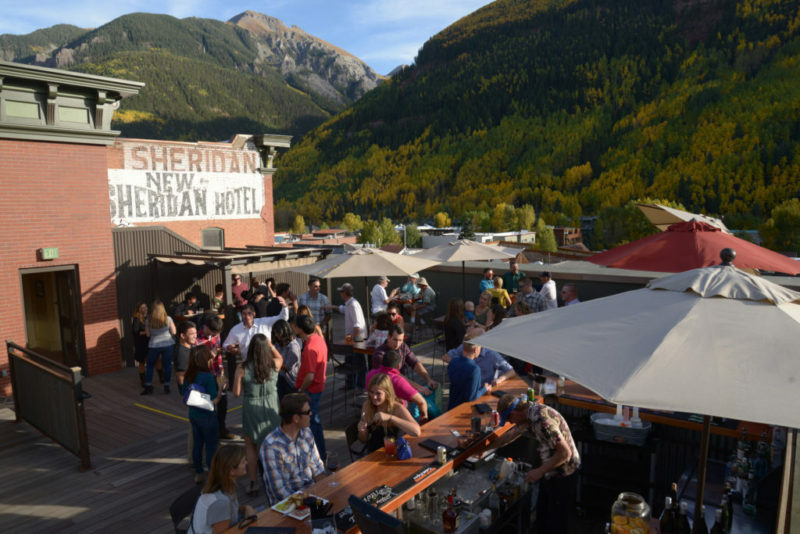 Visit Telluride to sip the cocktail that has gained cult status. Stay at the New Sheridan Hotel; it’s perfect for a special occasion. Try the famous Detroit style pizza at Brown Dog Pizza. For a night out start at the Old Sheridan Bar, then move to the Liberty for dancing later on. If you need a break from skiing, hike the Jud Weibe trail for a spectacular panoramic view of Telluride town. For a hike more off the beaten trail, ask a local how to get to the Little Hawaii. 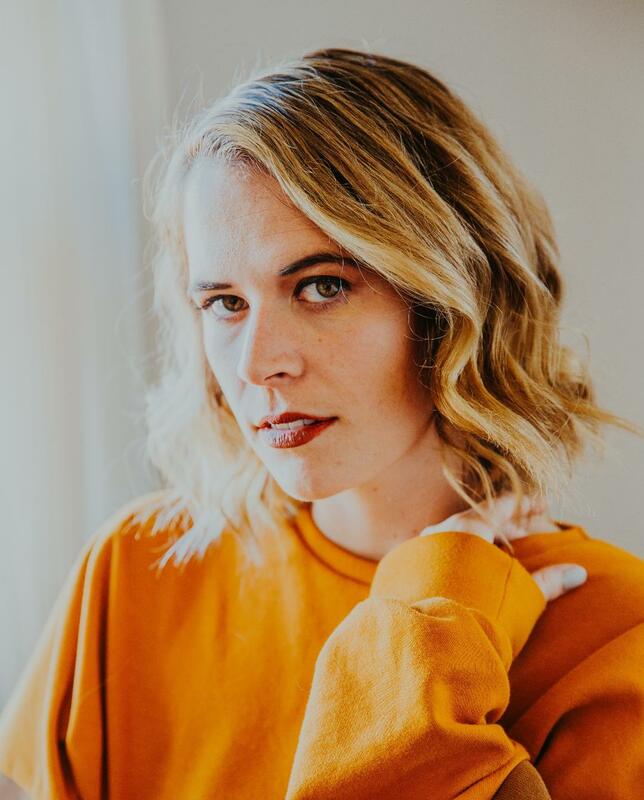 Mollie Barnes is a journalist from St. Louis, Missouri. 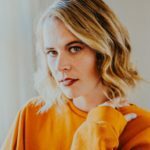 She has written for The London Evening Standard, Fodor’s Travel, Midwest Wine, and the Columbia Missourian. See more of her work at molliebarnes.contently.com.